I have a new love. It’s one I’ve been thinking about for a long time but couldn’t get up the courage to make it happen. It’s SUP. 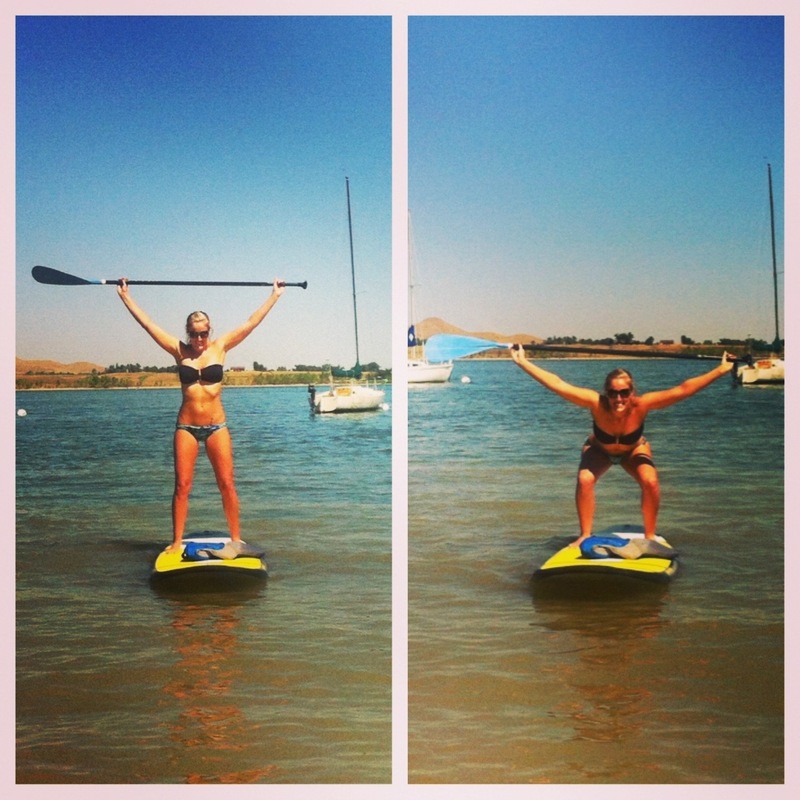 Thats right, Stand Up Paddle boarding. Two Saturday’s ago my friend offered to come with me to try it. After our normal Saturday morning workout we headed to the Boulder reservoir, where you can rent paddle boards on the shore for 20$ an hour. It was a beautiful day, the sun was shining without a cloud in the sky. I was so nervous about falling over, especially when standing up for the first time. They start you on your knees as you paddle away from the shore, then you move to a standing position. The boards weren’t as tippy as I thought they would be and I managed to stay on the whole time, even with the waves from all the motor boats. In fact, I started loving the challenge of remaining upright when the waves came. I loved the challenge of shifting my weight from side to side to help keep me going straight so I didn’t have to move the paddle from my left to right side as much. I loved the burn in my shoulders as I took the last couple stokes back to shore at the end of the hour. And lastly, I loved how completely relaxed and centered I felt after I was done. 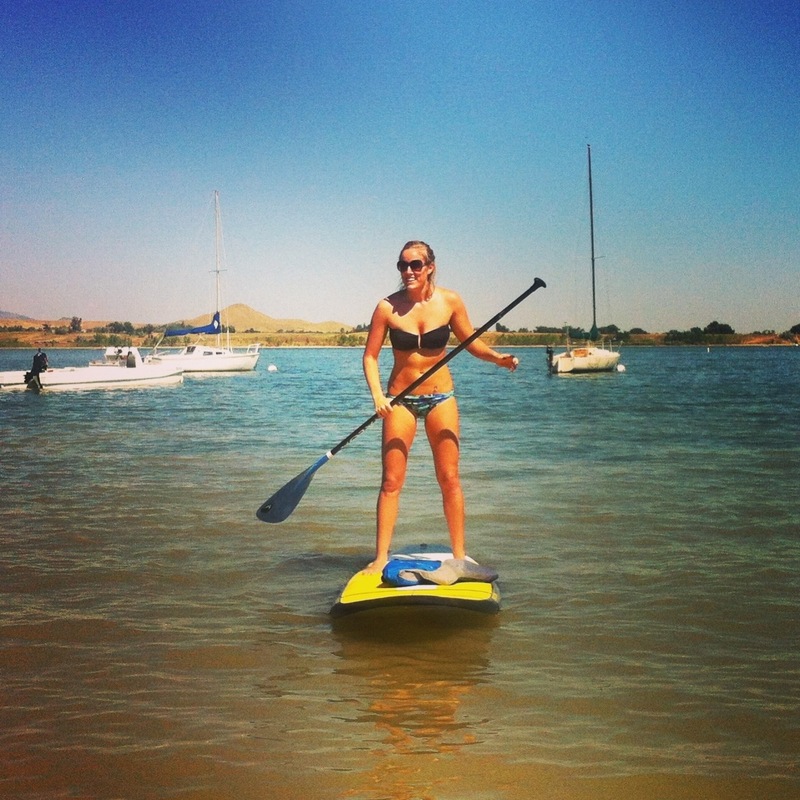 If its still warm where you are, try to get out and squeeze in a quick paddle boarding session before fall takes over. I promise it will be worth it. This entry was posted in Fitness and tagged CrossFit, diet, Fitness, SUP, Workout by fionaboger. Bookmark the permalink. Thanks for the review! I live in Florida and can do this pretty much year round but have yet to work up the nerve. I think you may have just pushed me to try it!